Well-equipped cottage, comfortable and quiet. 600 m away from all the shops and free Internet access, beach fishing in ponds, rivers and lakes, foot or bike hikes. Villereal is in the region of fortified villages and medieval cities, between the Perigord Pourpre and the Perigord Noir. Between the valley of Dropt and the Dordogne, our region has beautiful jewels of national heritage. Medieval abbeys, castles, churches, fortified villages, Bergerac and its wines, Sarlat, Cahors, etc. Old stones lovers, discover our medieval villages, sail down the Dordogne River on barges. A medieval heritage to be discovered! The heating is an extra-fee. From our cottages, visit Monpazier, Monflanquin, Issigeac, Pujols near Villeneuve-sur-Lot, Penne d'Agenais, Bergerac and its vineyards, Monbazillac, Cahors, Sarlat and all the surrounding castles, the markets full of regional products (fruits, seasonal vegetables of the local producers, with Cep mushrooms, Foie Gras, and Tourtieres). This cottage is well equipped, with a kitchen for 6 persons wit dishwasher, microwave, multifunction oven, freezer, refrigerator, washing machine, vacuum cleaner, ironing equipment, hair-dryer, clothes line inside and outside, garden furniture, deck chairs, barbecue, and parking by the cottage. A terrace to eat facing the countryside and bell tower of Villereal in the distance, a lawn to play and sunbath. The whole garden is fenced. A restroom will allow you to be at ease depending on the number of persons in your family. It has a basin where you can put your belongings, shelves for the storage of 6 persons, a shower with glass screen, and a bidet. Window with a view of the private garden. Hot water is provided by an electric water heater. All our cottages are completely equipped with dishwasher, washing machine, oven, microwave, ironing equipment, vacuum cleaner, television with DTT, DVD player, and all the crockery and household equipment for 6 persons. The living room has a relaxation area near the fireplace (we can provide wood in winter). In the outdoor, a closed and private garden will welcome you to take your meals: garden furniture (table and chairs), barbecue, sun umbrella, to rest: deck chairs on the lawn. Trash containers allow you to recycle. 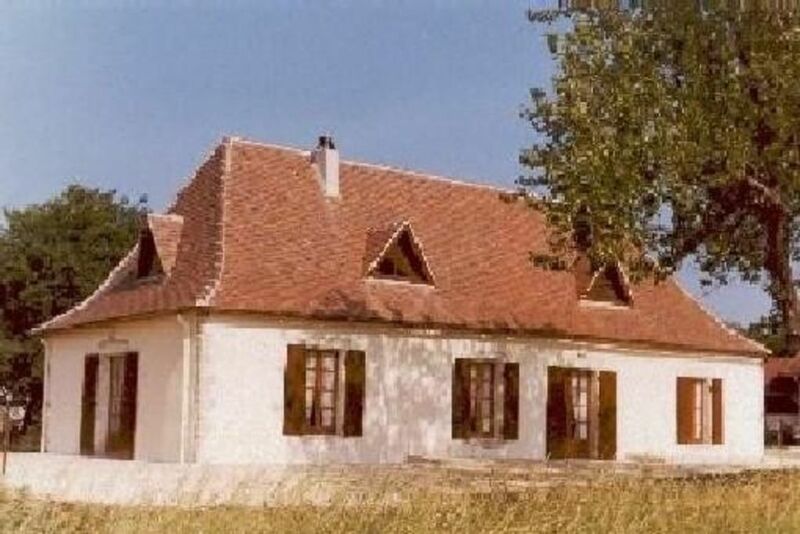 The cottage is between Bergerac (Dordogne) and Villeneuve-sur-Lot (Lot et Garonne) and Cahors (Lot). Airport for Paris, England, Brussels, and Amsterdam in Bergerac (28 km). Train station (SNCF) in Bergerac. The village of Villereal, fortified village from the 12th century with its hall and its church, is located 600 m away from all the shops and animations. 12 km away from the cottage, you will visit Monflanquin, Monpazier, Issigeac, Castillonnès, Eymet, rich heritage fortified villages. 30 km around, you will discover gardens, parks or monuments of the Perigord, castles and museums. Several golf courses nearby. The Lougratte Lake is opened and watched for swimming. All our holiday makers discovered our region by doing various activities: walks, bicycle, horse riding, canoeing, zip line, the Bergerac wines, Monbazillac, Buzet or Cahors, the Gourmet restaurants offer regional products: foie gras, duck magrets or aiguillettes, salardaise potatoes, tourtiere and Agen's prunes. Good location for excursions.